Massive multiuser development – multiple users or teams can be working on the project at the same time without the need to buy additional licenses or floating the current license set. Output Generation – all of the main objects are available in scripting language for either validation or generation which allows for highly customizable output generation. Active Directory integration – access rights (incl. read-only) are mapped to AD groups. Version Control – not only that every version of every structure or data mapping has auditing info on it, all the version can be compared for differences and views in a easy-to-see format. Change Management Support – MDC support change management with highly customizable process forms as well as version labeling. Import/export – MDC supports multiple import as well as export formats. Export can be further customized with defining a new output generation in internal scripting language. 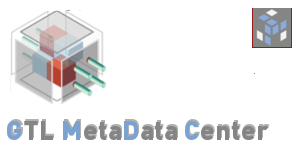 Metadata sharing – MDC as a thin client (web based application) allows setting up read only access for any group within potentially interested in browsing the metadata.